SACRAMENTO, Calif. (CN) – Three years after issuing California’s first mandatory water restrictions during a historic drought, Gov. Jerry Brown on Thursday inked legislation creating permanent water-use goals for households and suppliers. “In preparation for the next drought and our changing environment, we must use our precious resources wisely. We have efficiency goals for energy and cars – and now we have them for water,” said Brown in a statement. Brown signed a pair of bills creating framework for statewide water savings mandates that will take effect in 2022. 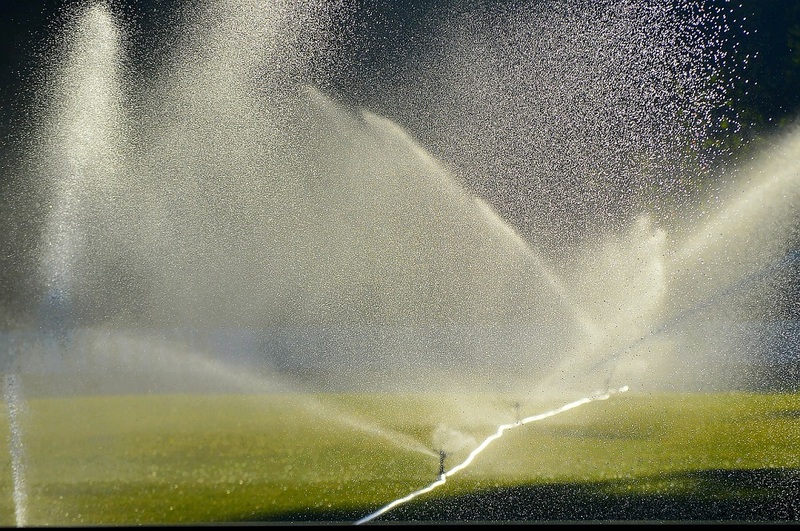 Residents will be asked to cut back on indoor and outdoor water use while water suppliers will have to submit water budgets and increase water recycling projects. The legislation establishes a per person goal of 55 gallons per day until 2025 and eventually 50 gallons per day by 2030. According to state data, Californians used an average of 90 gallons of water per day in 2017. Supporters hailed the Democratic measures, Assembly Bill 1668 and Senate Bill 606, as a jolt to the status quo and a means to permanently nix water waste, not just during periods of drought. Brown ordered cities and water suppliers to cut back water usage by at least 25 percent in 2015, after spring surveys pegged the crucial Sierra Nevada snowpack at just 5 percent of average. State regulators relaxed the 25 percent mandate late 2016 and Brown ended his drought declaration in 2017. The five-year drought was driest stretch in the state’s recorded history. While statewide urban water usage dropped following Brown’s mandatory cutbacks, it has crept up since the drought. The laws task the Department of Water Resources and the State Water Resources Control Board with studying and developing new water recycling methods for agricultural and urban water suppliers. The state will be able to fine suppliers that don’t meet their targets once they take effect in 2022. The water bills passed both Democrat-controlled chambers on a party-line vote. Southern California’s Metropolitan Water District – the nation’s largest urban water supplier – said the bills give agencies enough flexibility to come up with attainable water saving targets. “It leaves to local water managers the decision how best to produce water savings in their communities and where best to make investments in local supplies and storage to manage water supplies in a future of climate change,” Metropolitan representative Kathy Cole said in a statement.